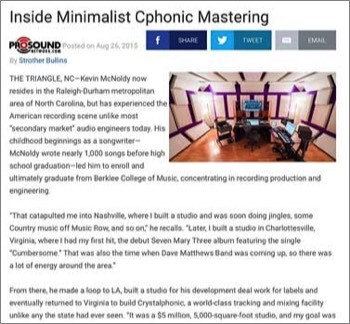 Kevin was the focus of Pro Sound Network’s 2015 article “Inside Minimalist Cphonic Mastering.” The article focused on Kevin’s past as an engineer in Nashville and Los Angeles, and how he later built Crystalphonic in Charlottesville, Virginia. It describes the design philosophy behind Cphonic Mastering, how it was built to be modular, and how it combines Kevin’s vintage equipment with more modern workflows for speed, efficiency, and the ultimate sound. Kevin McNoldy's previous Virginia recording studio, Crystalphonic, is featured in the new RA: The Book, which is a recording studio design book by Recording Architecture, the acoustics group that designed the facility. 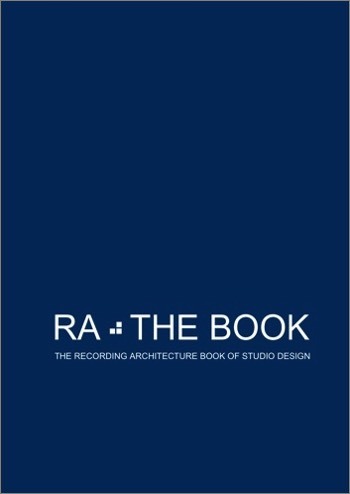 This incredible book showcases many designs by RA over the years, giving the details on how to create the same acoustic designs for your own studio. It is an honor to be showcased in the book, and it is a must-have for anyone seeking to improve their room acoustics and create great music! 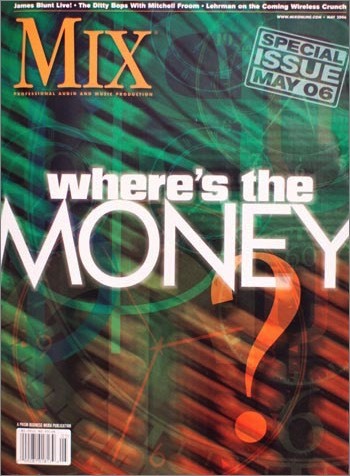 Kevin was one of the featured producer / engineers in Mix Magazine's "Studio Survival" cover article in 2006, after leaving Virginia to set up his new studio in Florida. In it, he discussed the proliferation of doing business over the internet, switching out the SSL console for the streamlined approach of using the Avid D-Control (Crystalphonic used a 32-channel D Control "blue," and Kevin used a 16-channel D Control ES after moving on from the Virginia facility), and how fulfillment and diversification must be part of the modern music recording business plan. 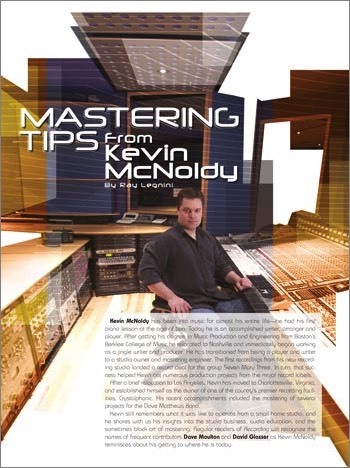 Kevin was the focus of Recording Magazine's 2004 article "Mastering Tips from Kevin McNoldy." In it, he described how his education from Berklee College helped shaped his future in music, and enabled him to put together a facility as vast as Crystalphonic. He also talked about mastering Dave Matthews, and how a larger project like that compares to working on independently-produced albums. Many of his philosophies on mastering, gear, and the psychology of music production were outlined in this cover article, as well. 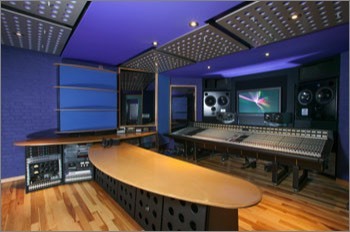 Kevin McNoldy's previous recording studio, Crystalphonic, was part of Mix Magazine's "Class of 2003" issue, which showcased the biggest US studio designs of the year. 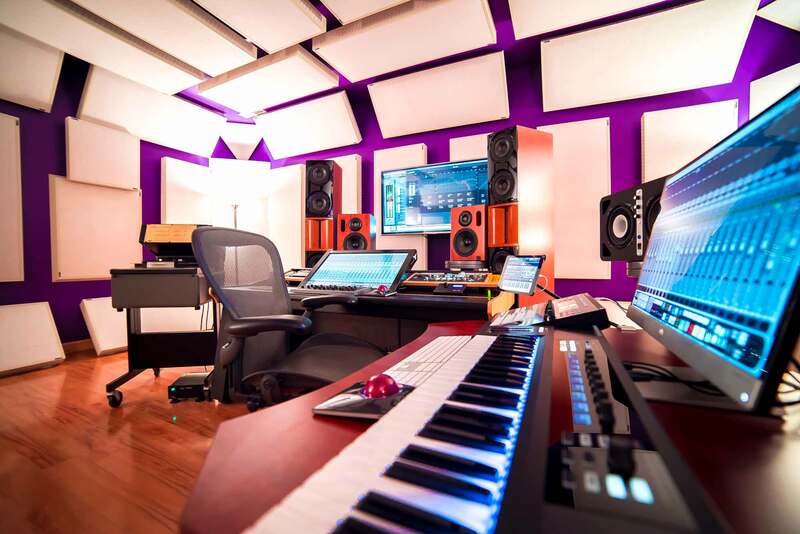 "Opened in January 2003, the Recording Architecture-designed, four-room studio Crystalphonic (Charlottesville, Va.) includes an SSL room (4064 E/G-Plus console, ATC mains), a 5.1 room (32-fader Digi Pro Control, ATC surrounds), a post/edit suite (keyboards/modules from Akai, Alesis, Korg, Moog, etc. ), and a mastering room (ATC mains, Egglestonworks Andra II monitors powered by Electrocompaniet NEMO amps), each with substantial Pro Tools|HD systems. The entire facility runs from a Studio Network Solutions' fiber-optic SAN. The 30-foot-tall tracking area contains an extensive collection of mics and pre's, and features a balcony and full-height diffusing “Acoustic Trees” based on the designer's Black Box technique of acoustic control systems." 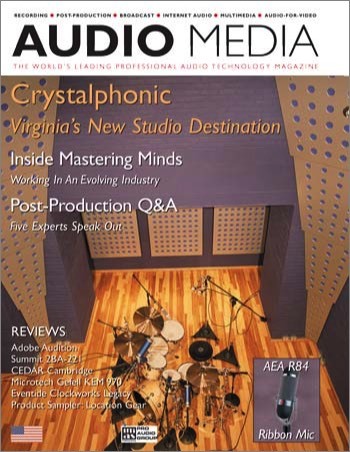 Kevin's studio Crystalphonic was on the cover of Audio Media Magazine (and was the featured story) in 2003. This article focused on the design and construction of Crystalphonic, how Kevin made the vintage equipment choices for the studio, the over seven miles of analog and digital cables wired up for the facility, and the beautiful Solid State Logic 4064 E/G+ Console that was the centerpiece of the main studio (The SSL desk was originally purchased from super-producer Arthur Baker, who had mixed tons of hits on it, including a huge number of New Order singles). ProSound News - several articles on Kevin / Crystalphonic. Billboard Magazine - article on Crystalphonic. Artist Pro - article on Kevin / Crystalphonic. Tape Op Magazine - article on Kevin / Crystalphonic. Virginia Living - article on Kevin / Crystalphonic. Press releases regarding Kevin and his equipment - ATR Services ATR-102 tape machine, ATC SCM300A & SCM20A monitors, Brauner VM1 Klaus Heyne Edition microphones, Z-Systems Digital Detanglers, Grace Design m906 & 901 & 201, Genelec 1031A & 1030A & S30C monitors, Electrocompaniet Nemo amplifiers, Vintage King Client Gallery.